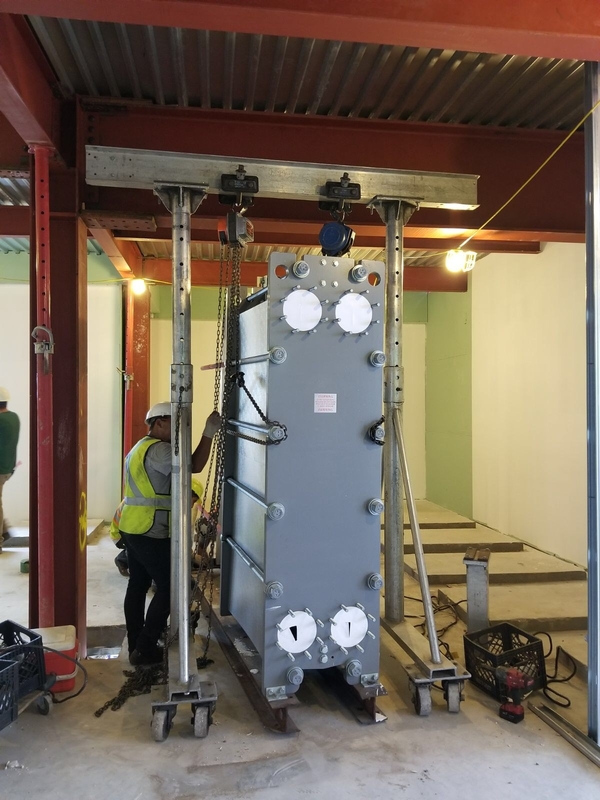 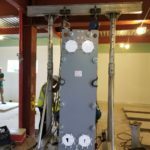 Here is is, in the middle of the Summer, and we are rigging a heat exchanger into place at 627 Greenwich St in NYC! 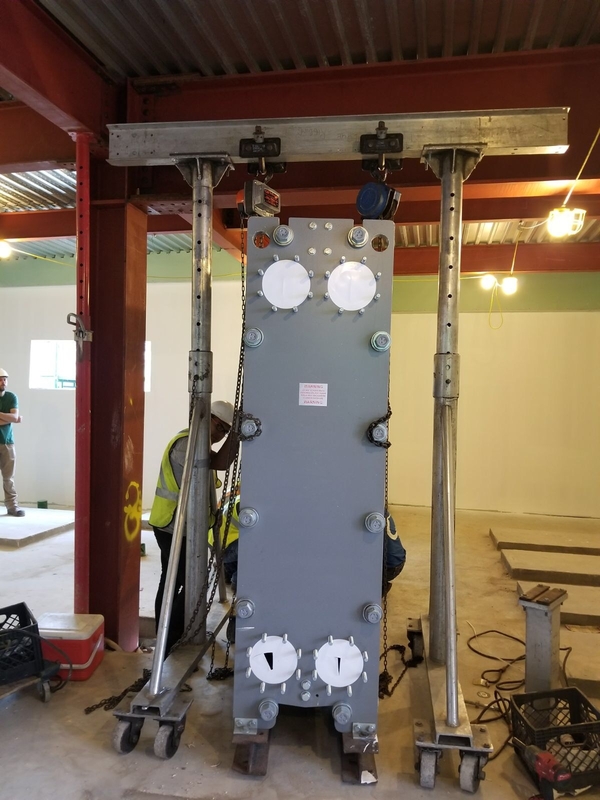 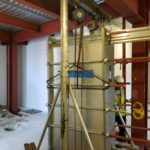 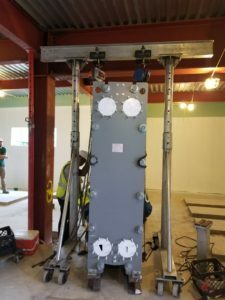 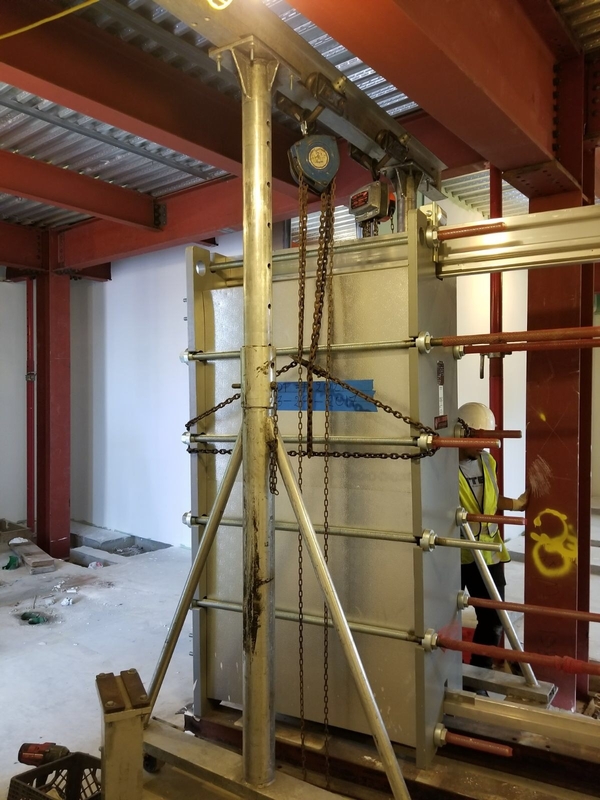 We used a gantry and chain block to lift the unit up then removed the temporary beams that we needed to attach in order to keep it from tipping since they are top heavy and can tip easily. 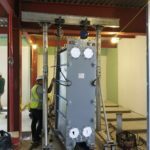 Once the unit was in place, we lifted and removed the beams, then lowered the unit down and removed the rigging equipment.